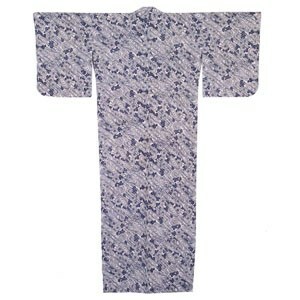 This is a beautifu secondhand cotton kimono with a Japanese chrysanthemum floral pattern. The cotton appears to be slightly starched giving it a crispy feeling. It should soften after washing.